Raisins, though not as rich in phytonutrients as some dried fruits, can still be considered a healthy snack with a variety of positive health benefits. 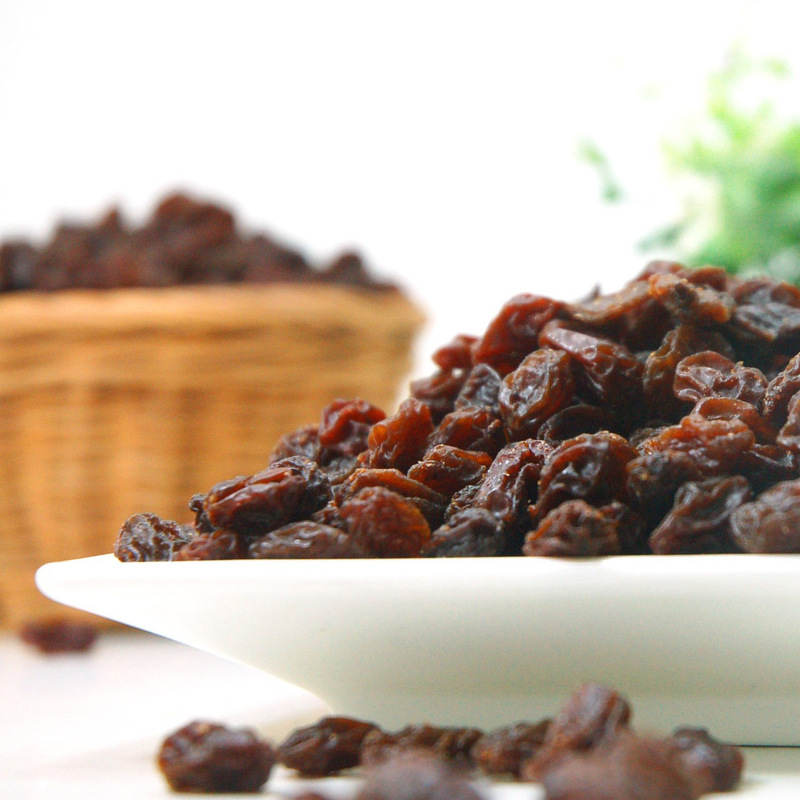 Raisins, in particular currants and golden raisins, are a good source of anti-inflammatory antioxidants. They are also rich in fiber, which promotes satiety and may decrease total calorie consumption when consumed before a calorie-rich meal. Fiber also promotes growth of healthy bacteria in our large intestines, which supports our immune system and helps prevent infections. This may be particularly helpful for pregnant women to prevent pre-term labor, which is thought to be at least partially triggered by inflammation. An abundance of healthy gut bacteria may also help decrease blood cholesterol and may be why raisin consumption has been shown to be able to lower LDL cholesterol up to 13%, though this effect could also be mediated through some other phytonutrient found in grape-flesh or skin. Finally, raisins are rich in simple sugars, which may be useful for endurance athletes trying to enhance their performance during races. Concerns that sugar-rich and chewy-textured raisins might promote cavities have been widely discussed in the medical community for several decades. While recent studies have indicated that acids and sugars from fruits and fruit juices may indeed soften tooth enamel, cavity formation is not driven by acidity alone, but by bacterial activity as well. Phytonutrients in raisins appear to inhibit cavity-promoting activity in oral bacteria. In addition, raisin residue is removed much more quickly from teeth surfaces than many other foods, such as chips, crackers or cookies. There are some dried fruits even more antioxidant-packed than goji berries.